The Texas Department of Motor Vehicles (TxDMV) is a dynamic state agency dedicated to customer service, consumer protection and the success of motor vehicle-related industries. It is one of only a handful of state agencies that raises revenue for the state. For every $1 the agency spends, it returns more than $10 in state revenue. These funds are primarily used to build and maintain the state’s roads and bridges. The TxDMV is overseen by a nine member, governor-appointed board that is the agency’s policy-making arm. Daily operations are overseen by the agency’s executive director. Each year the agency registers almost 24 million vehicles; regulates vehicle dealers; credentials buses and big trucks for intrastate and interstate commerce; issues oversize and overweight permits; and awards grants to law enforcement agencies to reduce vehicle burglaries and thefts. The agency was created by the state legislature in 2009 and became operational on Nov. 1, 2009. The Executive Director of the Texas Department of Motor Vehicles oversees the agency’s day-to-day operations. The division directors, who oversee the program areas of the agency, and the directors of the agency’s human resources, technology and civil rights sections report to the Executive Director. The Executive Director reports to the agency board and directs staff to make changes based on laws enacted by the state legislature and implements policies and rules approved by the agency board. The Automobile Burglary and Theft Prevention Authority (ABTPA) educates Texans on how to protect themselves from motor vehicle theft and awards financial grants to curtail auto theft and burglary. The division is also involved in a program that helps to prevent stolen motor vehicles from entering Mexico. The Compliance and Investigations Division assists county tax offices with compliance and best practices in order to detect and prevent fraud, waste, and abuse and supports law enforcement with criminal investigations involving motor vehicle title and registration fraud. If you have questions, they have answers in the Consumer Relations Division where you will find customer representatives eager to answer your calls and emails. The hallmark of this division ‘s staff members are their dedication to being professional but personal as they help consumers and motor vehicle-related business owners – almost 1 million each year - find the information they need to complete their business with the agency. Did a moving company promise you a cheap rate and then hold your belongings hostage for more money? Did an auto dealer fail to title your vehicle for you? Did you run out to buy that new truck you saw advertised for an amazing price only to be subjected to a “bait and switch” scheme? These situations and much, much more fall under the Enforcement Division, which regulates manufacturers, dealers, moving companies and other motor vehicle-related businesses, including motor carriers and salvage dealers. The division also administers the state’s Lemon Law, which can provide relief to consumers who can prove the new car they bought is a lemon. Each year the division reviews and investigates an average of 15,000 complaints from consumers, law enforcement and other government agencies. From pens and paperclips to millions of dollars in operating expenses, the Finance and Administrative Services Division tracks the agency’s money – starting with what it spends to more than $1.5 billion in annual collections. The division is responsible for the agency’s budgeting, purchasing, accounting and financial reporting. In Fiscal Year 2013, the division is tracking an operating budget of $170 million and a payroll of more than 700 full-time employees. This division is about keeping you informed. It is the voice of the agency, making sure all external communication is coordinated and that the agency delivers consistent messages to the motoring public. Staff members answer questions from state legislators, and media; perform bill analyses during legislative sessions; send out press releases; oversee the agency website and other informational materials, such as brochures, flyers and newsletters; and proactively reach out to Texans with public education initiatives. The Human Resources (HR) division provides a full array of HR services to the agency including talent acquisition, benefit information, employee relations, classification, compensation, organization development, employee training and HR information and policy. The Information Technology division is responsible for agency-wide information technology needs and overall responsibility for the maintenance and support of the agency’s major systems and technologies. The Internal Audit Division helps to identify and improve existing agency operations. Staff reviews policies, processes and procedures, making recommendations to agency management to ensure the efficient and effective use of resources, and to reduce the likelihood of fraud, waste and abuse. The division is an independent, objective, assurance and consulting activity and reports directly to the board. The Motor Carrier Division helps the transportation industry conduct interstate and intrastate commerce. It grants commercial motor carriers, moving companies and passenger carriers the license plates, operating authority (Texas Department of Motor Vehicles Number and Unified Carrier Registration) and the oversize/overweight permits they need to move people and cargo safely and efficiently. The Motor Vehicle Division licenses dealers and manufacturers and other types of motor vehicle-related businesses. The licensing system helps to ensure a sound system of distributing and selling motor vehicles and regulating motor vehicle manufacturers. In Texas there are more than 2,500 licensed new (franchise) vehicle dealers and almost 15,000 used (independent) dealers. The Office of Administrative Hearings provides an independent forum for hearings for consumer complaints filed under the Texas Lemon Law. Responsibilities of the Office of Administrative Hearings include conducting administrative hearings regarding Lemon Law and warranty protection complaints and issuing decisions and orders pursuant to the Texas Occupations Code. The Office of Civil Rights is responsible for affirmative action and Title VI/Equal Employment Opportunity contract compliance. The Office of General Counsel represents the agency and provides legal advice to the board, executive director, and other agency divisions. The office provides advice regarding laws and regulations on topics such as motor carriers, vehicle titles and registration, human resources, open records, and open meetings. It assists with legislation, reviews contracts, and participates in all phases of rulemaking. The office also works with the Office of the Attorney General on legal matters involving the agency. The Vehicle Titles and Registration Division is responsible for vehicle titling, registration and issuing license plates and disabled placards. It oversees 16 Regional Service Centers and provides policy and procedural support to the 254 county tax assessor-collectors, who process registration and title applications throughout Texas. The division also updates and maintains the state motor vehicle database. Currently, there are more than 22 million registered vehicles in Texas. The division collects more than $4.5 billion in registration fees, title fees, and motor vehicle sales tax, the majority of which is deposited into the State Highway Fund to build and maintain Texas’ highways, roads and bridges. The following data is provided in compliance with Texas Government Code, Section 659.026, Information Regarding Staff Compensation, requiring state agencies to post certain information on staff compensation online. 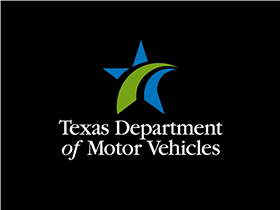 The Texas Department of Motor Vehicles (TxDMV) is authorized to staff 779 full time equivalent positions in Fiscal Years (FY) 2018 and 2019. TxDMV legislative appropriations for the current state biennium are $332,861,576 ($168,869,792 in FY 2018 and $163,991,784 in FY 2019). TxDMV complies with the State’s Position Classification Plan as defined in the General Appropriations Act. The Position Classification Plan outlines the compensation structure for state agencies and is maintained by the State Classification Office in the State Auditor's Office (SAO). Classification titles and associated salary groups are established in the General Appropriations Act, Article IX. A list of the state classification titles and state job descriptions can be found on the State Auditor’s Office website. Each position in the department, excluding the Executive Director, is designated a state classification title based on the duties and responsibilities of the position. The agency’s executive director compensation is established through the legislative process and can be found in Article VII of the General Appropriations Act. The methodology for compensation of executive staff is established by Sharon Brewer, Human Resources Director. The executive director and executive staff are not eligible for a salary supplement. TxDMV reviews reports produced by the State Auditor’s Office, State Classification Team prior to each legislative session. A Biennial Report on the State’s Position Classification Plan addresses the State’s compensation system and reviews employee pay in relation to the market. A Classification Study of Exempt Positions addresses the exempt executive director position, provides market comparison between state agencies and private sector, and includes a state-wide analysis of exempt positions. For classified positions, TxDMV utilizes the SAO’s Electronic Classification Analysis (E-Class) system to compare executive salaries of similar positions with other agencies. The average compensation rate for non-executive TxDMV employees was $52,264.20 in FY 2017. The mission and performance of the Texas Department of Motor Vehicles are under review by the Legislature as required under the Texas Sunset Act. The Act provides that the Sunset Commission, composed of legislators and public members, periodically evaluate a state agency to determine if the agency is still needed and to explore ways to ensure that the agency's funds are well spent. Based on the recommendations of the Sunset Commission, the Texas Legislature ultimately decides whether an agency continues to operate into the future. The Sunset review involves three steps. First, Sunset Commission staff will evaluate the Department of Motor Vehicles and has issued a report available on their website recommending solutions to problems found. On May 23, 2018, the Sunset Commission will meet to hear public testimony on the agency and the recommendations of the Sunset staff. Based on public input and the Sunset staff report, the Sunset Commission will adopt recommendations for the full Legislature to consider when it convenes in January 2019. Please refer to the Sunset Commission website or call the office for updated information on specific dates for these meetings. Through the Sunset review, every Texan has the opportunity to suggest ways in which the mission and operations of the Department of Motor Vehicles can be strengthened. If you would like to share your ideas about the Department, please send an email to the address below or use the comment form on the Sunset Commission website.